United Airlines complied with the request, but recently made a small concession to recognize Taiwan. 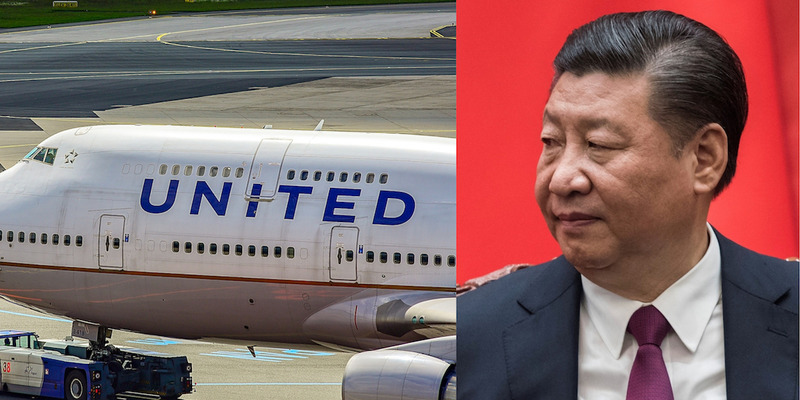 United Airlines made a small concession to recognize Taiwan amid China's ongoing attempts to wipe it off the map — and Beijing is furious. 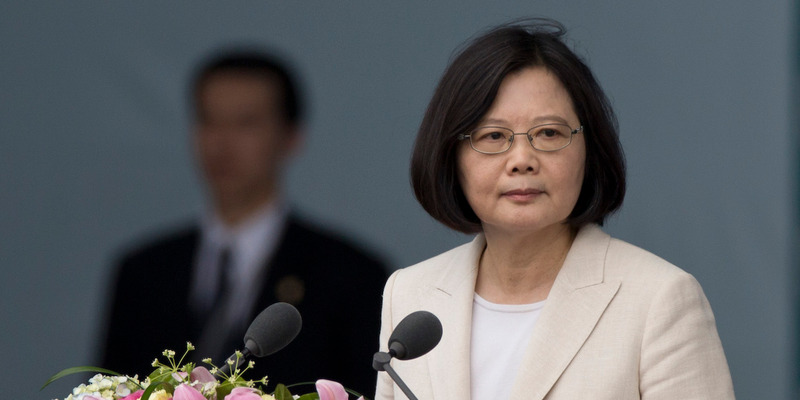 While the tweak may seem insignificant, the gesture nods to Taiwan's claim to be an independent nation, which is fiercely contested by mainland China, which says Taiwan belongs to it. The change, spotted by the South China Morning Post, cuts against recent efforts by the Chinese government to force airlines to remove all reference to "Taiwan" from their list of destinations, or to list it as part of China. It's not entirely clear when and why the new option came into effect. Business Insider has contacted United for comment. 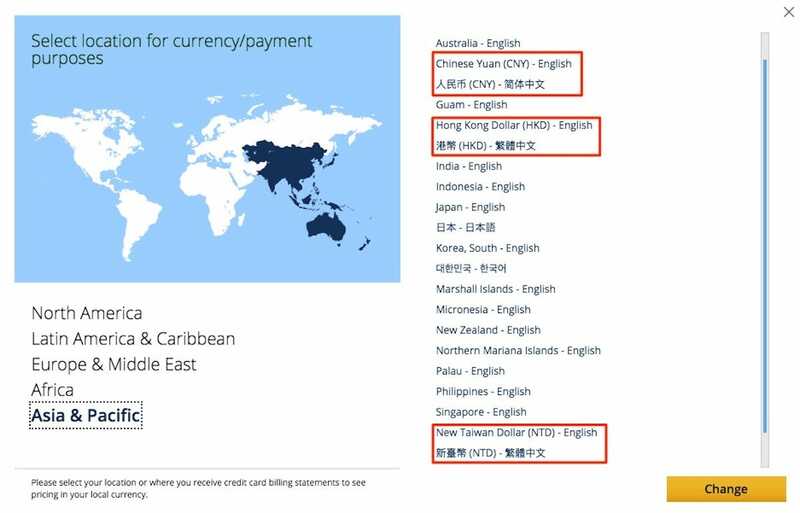 Earlier this year United dropped all its references to Taiwan as a country after China's civil aviation authority demanded 36 foreign airlines to remove references to Taiwan, Hong Kong, and Macau as countries on their websites and marketing materials. United Airlines typically describes destinations in its booking forms in the format of "Airport Name, City, Country," or "City, Country." It now refers to all destinations in Taiwan, Hong Kong, Macau, and China without amy country names. In other words, ticket bookers on those sites would find destinations in those regions marked as "Taipei (TPE)," "Hong Kong (HKG)," "Macau (MFM)", and "Beijing (PEK)." Those going anywhere else in the world, however, would be booking flights to and from "New York, NY, US," "London, GB," and "Tokyo, JP," for example. China has remained dissatisfied by the modifications, however. In July, the Civil Aviation Administration of China said that the airlines had "started to rectify" the issue but "rectification is still incomplete" because they still did not list Taiwan as a Chinese territory. Taiwan on Wednesday thanked United for its "flexibility" in side-stepping its promise to China. Li Hsien-chang, a spokesman for the Taiwanese foreign ministry, said according to the South China Morning Post: "We would be glad to see any flexible workaround that differentiates Taiwan subjectively from China, in any means at all." Li added that Beijing's attempts to make airlines list Taiwanese territories as part of China was "dwarfing China" and "absolutely unacceptable," the Post reported. Hua Chunying, a spokeswoman for China's foreign ministry, told reporters on Thursday: "I just want to emphasize that there is only one China in the world, and Taiwan is a part of China. This is an objective reality, common knowledge, and a point internationally agreed upon. Any foreign company operating in China should comply to this. "No matter how 'flexible' some people might want to be," she added in a clear reference to Taiwan's foreign ministry, "they can't escape the fundamental principles of the 'one China' policy." Multiple food delivery companies in mainland China removed the cafe's products from their platforms and the share price of the cafe's parent company plummeted in the wake of the photos. Workplace emails might give you a headache. And, if you have passive-aggressive coworkers, having to electronically communicate with them might make emails all the more stressful. Adobe found the nine most-hated passive-aggressive email phrases in a recent survey. Business Insider asked a social worker and a psychologist how to respond to deescalate the situation. If that snippy coworker is being passive-aggressive in an email (again! ), resist the urge to send an equally snarly response. "The goal of the passive-aggressive person is to get someone else to visibly act out the anger that they have been concealing," social worker Signe Whitson, author of "The Angry Smile," told Business Insider. "Any time their covertly hostile email is responded to with overt hostility, the passive aggressive person succeeds." Don't fight fire with fire. If you do, you're just falling into the passive-aggressive person's trap. Instead, Dr. Neil J. 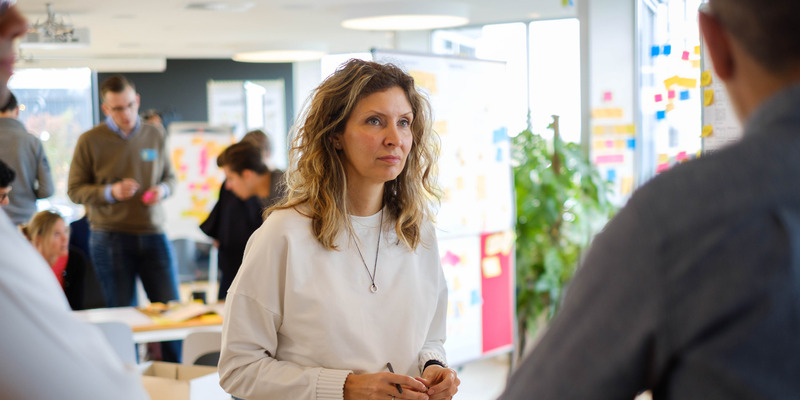 Lavender, author of "Toxic Coworkers: How to Deal with Dysfunctional People on the Job," said you should focus on what you need to do to complete the task at hand, rather than "majoring in the minors." "If the email is requesting you to turn in a report, then turn it in. If you need to return a phone call, then return the phone call," Lavender told Business Insider. "Don’t get 'mired in the minutia.'" Adobe found the nine most-hated passive-aggressive email phrases in a recent survey. Below, take a look at some key phrases you can use to diffuse the situation when one of those emails lands in your inbox. With 25% of workers saying this is the most annoying email phrase, "Not sure if you saw my last email" was by far the most disliked phrase in Adobe's survey. Lavender suggested beginning your note with, simply, "Thank you, I did receive your last email and..."
Whitson recommended leading your response with an equally brief, "Thanks for the reminder." This might be a sign that your worker is trying to create a paper trail from your in-person talks. "A simple, 'Thanks for the recap' will go a long way in keeping a friendly workplace and rising above someone else’s covert anger," Whitson said. Some sites will continue to want user data in exchange for content, but now they will have to ask for it, a positive change for people who up until now had no idea of the value exchange they were asked to make. Blocking pop-up ads in the original Firefox release was the right move in 2004, because it didn’t just make Firefox users happier, it gave the advertising platforms of the time a reason to care about their users’ experience. In 2018, we hope that our efforts to empower our users will have the same effect. Mozilla wants to make it clear these features are aimed at users, and websites will have to adjust accordingly. Firefox development starts with Firefox Nightly, which consists of the latest code packaged up every night for bleeding-edge testers. The first two protections are already available in Nightly — you can control both features from the Control Center menu (left-hand side of the address bar) where you’ll see a new “Content Blocking” section. In that section you can enable the blocking of slow-loading trackers or cross-site tracking through third-party cookies by clicking “Add Blocking…” next to the respective option. Check Slow-Loading Trackers to improve page load performance and/or check Third-Party Cookies and select “Trackers (recommended)” to block cross-site tracking cookies. Even in Nightly, these features still need to be enabled, but eventually they’ll be on by default. If all of this sounds familiar to you, you’re right. Mozilla added a Tracking Protection feature to Firefox 42’s private browsing mode in November 2015. With the release of Firefox 57 (Firefox Quantum) in November 2017, Mozilla added an option to enable tracking protection outside of private browsing. But Tracking Protection isn’t on by default. Tracking protection in Firefox blocks website elements (ads, analytics trackers, and social share buttons) that could track you while you’re surfing the web. It’s almost like a built-in ad blocker, though it’s really closer to browser add-ons like Ghostery and Privacy Badger because ads that don’t track you are allowed through. 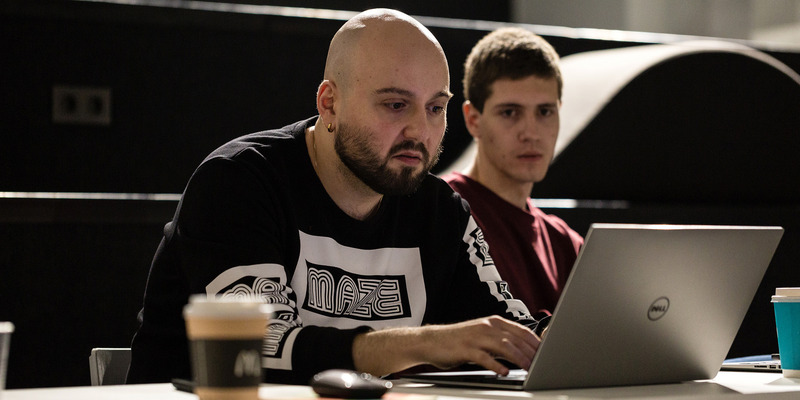 The feature’s blocking list, which is based on the tracking protection rules laid out by the anti-tracking startup Disconnect, is published under the General Public License and available on GitHub. Mozilla’s Tracking Protection technology is also available on other platforms, whether it’s called Turbo Mode on Fire TV, a separate privacy-based mobile browser called Firefox Focus, or simply a feature on Android and iOS. In fact, Firefox for iOS turned on tracking protection by default in April. At the time, Firefox Product Lead Jeff Griffiths told VentureBeat that Mozilla had no plans to turn on Tracking Protection by default on the desktop. That’s apparently still true, but Firefox is finally going to block trackers by default — it will just give users more controls and options when it does. Open-source mapping software Mapbox said that the person responsible for an antisemitic label added to its maps on Thursday morning also “attempted several other hateful edits,” and that its security team is still working to determine the exact origin of the vandalism. “Mapbox has a zero tolerance policy against hate speech and any malicious edits to our maps. This morning, the label of ‘New York City’ on our maps was vandalized. Within an hour, our team deleted and removed that information,” according to a Mapbox spokesperson. Mapbox did not say specifically what other edits the person attempted. Starting around 5 am ET, users of apps that rely on Mapbox’s software, including Snapchat, CitiBike, and Zillow, saw that New York City had been relabeled ‘Jewtropolis’ on these maps. It appears that the vandalism was visible from about 5 am ET to 9 am ET. Snap was one of the first companies to comment on the issue, tweeting around 7 am ET that it was working with Mapbox to get the issue fixed. According to its website, the apps that use Mapbox’s software account for more than 420 million monthly users. Mapbox CEO and founder Eric Gundersen told TechCrunch that the company uses more than 130 sources of data to build its maps, and uses a combination of AI and humans to check for incorrect labels. “We’re constantly scanning for this [vandalism], and it’s an error on our part [to have missed it],” Gundersen told TechCrunch. In its press statement, Mapbox said that its detection system “flags more than 70,000 map changes a day for human review.” Mapbox said that the vandalism was properly flagged by its detection systems and put into quarantine for human review. However, Mapbox it was an error on the part of the human reviewer that led to the Jewtropolis label going live. We’ll update this story if Mapbox shares any further details. Apple has officially sent out invitations to its latest media event, ‘Gather Round,’ which will be held on September 12, 2018 — a year to the day after the iPhone 8 and iPhone X were officially revealed. Following recent tradition, the event will start at 10:00 a.m. Pacific, and will be held in the Steve Jobs Theater at Apple’s headquarters in Cupertino, California. In addition to featuring finished versions of iOS 12 and watchOS 5, the event is expected to include the launch of three new iPhones — possibly named the iPhone Xs (5.8-inch/6.5-inch) and iPhone Xc — and the new Apple Watch Series 4 with larger screens. A small software update to the Apple TV, tvOS 12, is also likely to arrive at the September event, as are Apple’s long-awaited AirPower wireless charging pad and a wireless charging case for AirPods earphones. Rumors have suggested that Apple will debut the first iPad Pro models with Face ID — and thus, support for Animojis — this fall, as well as a new entry-level MacBook and professionally-focused Mac mini desktop. Collectively, these new iPad and Mac designs could justify a separate computer-focused event. ZTE has been making headlines for all the wrong reasons, lately. The Chinese electronics company was the target of a U.S. Congressional bill that sought to ban government agencies from purchasing its networking equipment, and it suffered another blow when the Senate voted to reinstate a (since suspended) export ban on its consumer device lineup. But those setbacks didn’t stop it from debuting its latest flagship at IFA 2018 in Berlin: the Axon 9. The Axon 9, the latest in ZTE’s flagship Axon series, isn’t the flashiest handset on the block. It’s crafted from glass and aluminum, and sports a 6.21-inch, 2,248 x 1,080 screen with a 18.7:9 aspect ratio and a sizeable cutout top-center. But there’s good reason for the notch: it packs an RGB color sensor and a front-facing camera that shoots up to 20MP. The color sensor, working in tandem with a dedicated display coprocessor, adjusts the panel’s hues to account for ambient light. And together, they power the Axon 9’s Motion Video Optimization feature, which interpolates video data and normalizes the frame rate to 60 frames per second. ZTE claims it helps to eliminate shutter roll and other artifacts. The Axon 9’s rear camera setup largely mirrors the front: there’s a 12MP optically stabilized sensor paired with a 20MP wide-angle shooter with a 130-degree field of view. Switching between the two is a one-tap affair in the Axon 9’s camera app. The camera app, speaking of, won’t leave you wanting. Headlining features include an iPhone-like depth-of-field mode that blurs the background in photos while narrowing in on subjects, and a Sport mode that locks focus on moving objects in-frame. But to be sure, there’s a lot to like about the Axon 9. It packs a Qualcomm Snapdragon 845 system-on-chip, 6GB of RAM, 128GB of storage, and a 4,000mAh battery that supports Qi wireless charging. Also on tap are stereo speakers with dual amplifiers and Dolby Atmos tech, and a machine learning-powered translation feature that can interpret 29 languages. Given ZTE’s stateside regulatory woes, it’s not exactly surprising that the Axon 9 pro isn’t launching in the U.S. — it’s heading to territories in Europe, where it’ll cost about $755.68 when it retails in September. If it does make its way to North America anytime soon, here’s hoping the price tag doesn’t budge. ‘Tis the season for speakers. Case in point? The music maestros at Marshall today announced new additions to their product lineup — the Kilburn II, Action II Voice, and Stanmore II Voice — which will go on sale later this year. The latter two are Marshall’s first smart speakers: Both tap Amazon’s Alexa Voice service (and soon the Google Assistant) for voice controls and access to tens of thousands of third-party apps. They’re also the first to fill Marshall Voice, Marshall’s new umbrella brand for premium smart speakers and services. As such, the Action II Voice and Stanmore II Voice feature appropriately high-end components, like class D amplifiers, a “bass reflex” cabinet system, and custom-tuned drivers. Both the Action II Voice and Stanmore II Voice go on sale from October 2, with preorders beginning today. They start at $299 and $399, respectively. Under the hood are a Bluetooth 5.0 chip (with a range of 30 feet) that supports Qualcomm’s aptX codec, 3.5mm and RCA inputs, and a multi-host feature that lets multiple people pair to it simultaneously. It’s available starting today at a suggested retail price of $299. Marshall’s first foray into the smart speaker market comes just days after the unveiling of Bose’s Home Speaker 500, a $400 Alexa-powered speaker intended to take on Apple’s HomePod, the Google Home, Amazon’s Echo series, the Sonos Beam, and Samsung’s upcoming Galaxy Home. Luckily for Marshall, demand for smart speakers isn’t showing signs of slowing. Canalys reports that demand grew 187 percent in the second quarter of 2018, and that collectively Apple, Google, Xiaomi, Amazon, and others shipped 16.8 million units, up from 9 million in Q1 2018. The sector is forecast to reach $19 billion in revenue by 2023, according to ResearchAndMarkets.com, as the number of smart speaker users in the U.S. inches toward a whopping 90 million. Olloclip has announced a Multi-Device Clip designed to easily enhance the cameras on most smartphones with more powerful lenses, such as fisheye lenses or zoom lenses. This could widen the market for attachable smartphone lenses. I’ve used Olloclip attachments for iPhones for years. But with the variation in phone sizes and cases, it’s not easy to use them from generation to generation or across a variety of smartphones. The Multi-Device Clip features an expanding clip design that provides a flush alignment of the camera and lens, and compatibility with screen protectors and smartphone cases up to 12 millimeters in combined thickness. Above: Olloclip’s Multi-Device Clip will widen the market for attachable lenses. The Multi-Device Clip can be switched quickly from front to rear-facing camera. Paired with Olloclip’s recently launched Connect X interchangeable lenses, users can quickly attach the right lens and capture the exact angle and field-of-view desired. Super-Wide: Four-element lens with more than 120-degree visibility. Ultra-Wide: A 155-degree action camera field-of-view. Fisheye and Macro: Unique 180-degree wide-angle spherical effect and microscope-like magnification. Macro 7X +14X: Get detail oriented and see beyond the naked eye. Macro 21X: Turn your phone into a microscope. The Olloclip Multi-Device Clip will be available on olloclip.com in mid-September with any of the Connect X lenses, starting at $60. Additional Connect X lenses may also be purchased separately, with prices starting at $45. Foothill Ranch, California-based Olloclip was founded in 2011, and it has more than 100 patents on its lens accessories. Apple has sent out invitations for its next iPhone launch event. 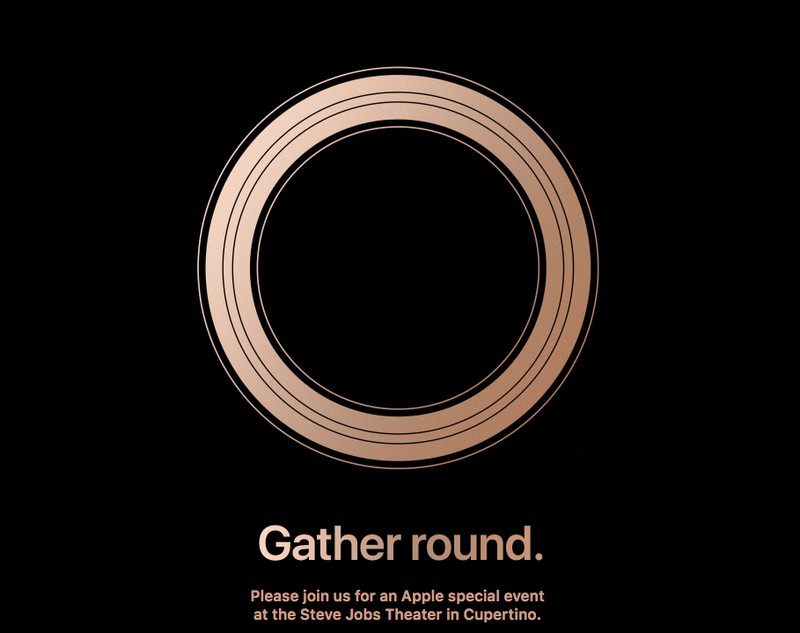 The "gather round" tagline refers to Apple's new campus, Apple Park, which features a stunning showcase headquarters that's perfectly round. This year is expected to be an "S year," meaning that these new iPhones are likely to be an evolution, not revolution, from last year's flagship iPhone X reveal. Indeed, all three new phones are likely to sport the iPhone X's edge-to-edge screen design, complete with the infamous "notch" for the Face ID selfie camera. Of course, Apple could always have "one more thing" planned at its launch. Other possible products that could be on deck for a grand reveal include new models of Apple Watch, an updated iPad Pro, and the next version of its AirPods.